Samuel Beardmore, William and Mary’s eighth son, was born in 1797. Family sources have his baptism on March 26th 1797, but reveal little else about him. However his eldest sister Mary, who was baptised on March 24th 1783, left a will which provides some clues. Mary’s will, dated February 1860 and proved on March 5th, refers to Mary, ‘daughter of my late nephew James Beardmore (Farmer); niece Elizabeth Machin, wife of Alfred Machin of Talk o’ th’ Hill, and Elizabeth’s son Frank Machin’. Mary makes the Rector and her brother Samuel executors, and if Frank dies before 21, divides the residue equally between surviving brothers Samuel, Thomas and John, and the children of deceased brothers William, George and Francis. 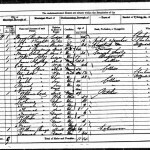 Christening, Census and Marriage Records show Samuel Beardmore, son of William and Mary, was born on July 3rd 1797 and baptised on August 6th. We are at a loss to explain the discrepancy in baptism date but we think this must be our Samuel. He married Hannah Burgess at St James Audley on April 28th 1834 and they had at least one daughter Elizabeth baptised at St James on May 31st 1835. By 1861 Samuel was living on his own on Pulpit Hill in Talke. His profession was given as Farmer. Lodging next door was Mary Beardmore aged 45. Perhaps she was the wife of ‘my late nephew James Beardmore (Farmer)’ referred to in the will left by Samuel’s sister Mary? 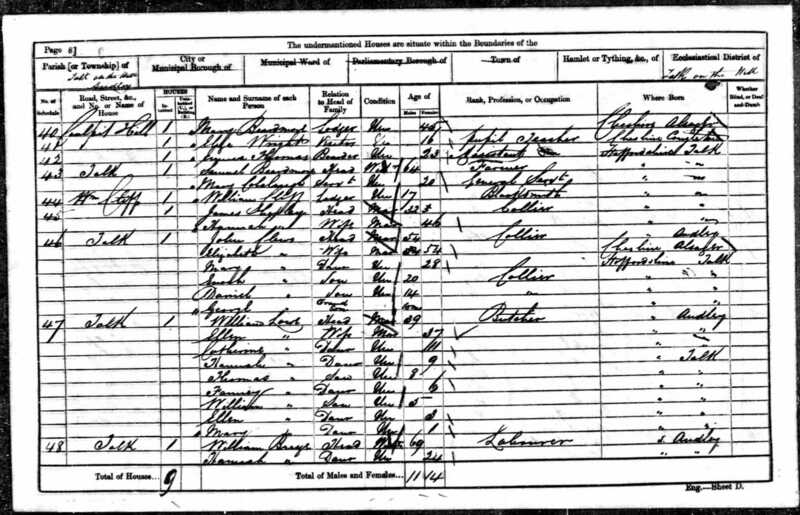 The records also show that Elizabeth Beardmore, daughter of Samuel, married Alfred Machin at Audley on December 18th 1854. Alfred was baptised in Wolstanton on December 27th 1829 and died early in 1878. We struggled to find their son Frank although there was a Francis Machin who was born in Stafford in early 1858 and died there in late 1929.